On the 15th of August, the casino brand 888casino.com, one of the leaders of online gambling, made a sensational announcement in Gibraltar. They informed the public about the release of the new improved 3D Animated Millionaire Genie Jackpot Slot from 888casino. This casino brand proceeds with the improvement of the 888casino.com’s software and as a result of this the new slot has been launched. 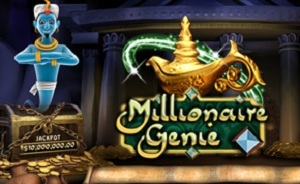 This new slot machine Millionaire Genie Jackpot Slot possesses a few 3D animated features and, certainly, the creators didn’t forget about such charismatic and funny character as Genie. The increasing popularity of Millionaire Genie slot machine from 888casino.com influences positively the sum of the jackpot and now this progressive jackpot is more than £2 million! To promote this important cutting event and such a huge jackpot, the casino 888casino.com has releases a great advertising campaign to advertise the Millionaire Genie slot machine and the possibility to win a lot! From August, 15th, Millionaire Genie will be seen everywhere throughout the UK in TV advertisements (see here), on Facebook and even in taxis. The funny Genie will also be enjoying the time thanks to ‘out of box’ desires with the famous celebrities that will be on the lookout. One of the steps in the promotion company aiming to support the New Millionaire Genie Slot is an offering of £88 free to gamble in 888casino.com in order to try your fortune to win more than £2 million! The bonus on registration also comprises £88 to play. You are also able to win real cash bonuses while playing the most popular of 888casino.com games in various categories, such as, Blackjack, Roulette, slot machine and the Millionaire Genie Jackpot Slot machine.